Get Habitattitude . . .
It’s a mouthful, but a very important concept for our aquatic natural resources. 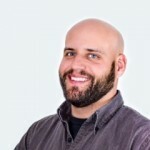 Aquatic invasive species (AIS) are one of the biggest issues plaguing our waterways, altering ecosystems and costing billions of dollars annually across the globe. (Learn more about AIS by reading my previous blog Alien Invaders, and check out our fact sheet Aquatic Invasive Species in the Great Lakes.) They get to new locations in a variety of ways, but one major pathway is the pet and aquarium trade, including ponds and water gardens. If you have a hobby that involves aquatic animals or plants, be a responsible owner! Never release or allow these organisms to escape into our aquatic habitats. -Goldfish- One of the world’s most popular pets, and one of the world’s most widespread invasives. Originally from eastern Asia, these attractive fish are cheap, hardy, and easy to find (or win at fairs). They often outlive their welcome, and unknowing owners may release them instead of disposing responsibly. In the wild they can grow to the size of a two-liter bottle, and are responsible for declines in many native fish, invertebrate, and plant species. They are found throughout North America, including all of Ohio. 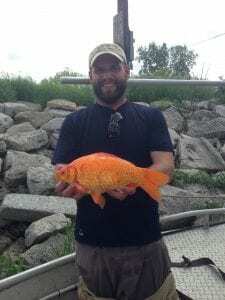 This large specimen was caught in Cooley Canal near the new Howard Marsh Metropark in Lucas County during a wetland sampling project. 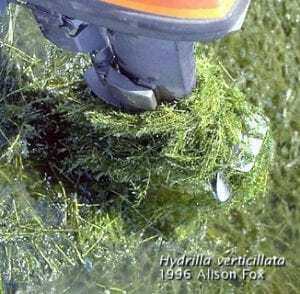 -Hydrilla- Animals aren’t the only thing that can be spread via release. Many plants used in aquaria are non-native, and some can be incredibly aggressive and easy to spread in a new environment. Hydrilla is one of those. It can reproduce vegetatively, meaning small fragments can be carried to new places and start new infestations. It forms thick mats that interfere with water intakes, clogs waterways used for recreation, and blocks sunlight from getting down into the water column. It likely established through aquarium release, but recreational activities have spread it through much of the U.S. In Ohio it is currently found in the Ohio River, Pymatuning Reservoir, and some Cleveland Metroparks waters. -Red swamp crayfish- This rather large crayfish native to the southern U.S. has been popular in the pet trade, for classroom study specimens, and as a food item. Each of these pathways has resulted in released animals, and the red swamp crayfish can cover relatively long distances over ground to invade new areas. They eat just about everything they can find, competing with native crayfish and many other wetland species. It’s now throughout much of the U.S. and has a patchy range throughout Ohio, unfortunately including my backyard. 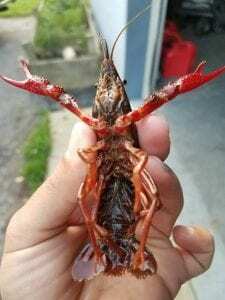 A red swamp crayfish from my backyard, and it just wants a hug. -Purple loosestrife- Water gardens are another potential AIS pathway, and this plant is a good example of a bad choice. 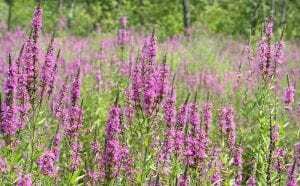 It was brought to North America in the 1800s because of its brilliant purple flowers, but it soon took over wetland areas (again, including my backyard.) It’s prolific, and can reproduce vegetatively as well as producing millions of seeds each year. Like other AIS, it outcompetes native species and alters the ecosystems that it invades. If you have a water garden, wetland area, or similar, plant native species! We have some native plants that are just as attractive, and a natural part of the ecosystem. You can find some options from the Ohio Invasive Plants Council, or our fact sheet. Those are just a few examples of the many AIS we are dealing with in Ohio. If you’d like to learn more, you’re in luck! 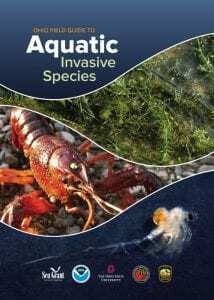 I recently partnered with John Navarro from the ODNR Division of Wildlife and our OSU Extension colleague Eugene Braig to develop the Ohio Field Guide to Aquatic Invasive Species. It provides in-depth descriptions and range maps of 61 species of AIS of concern in Ohio, and tells you how to report them if necessary. If you find yourself in the field often, or know someone who is, please check it out. It can be a great tool to help us protect our aquatic resources. And remember to get Habitattitude: Never release pets, plants, or bait into the environment! Posted in Environmental, Ohio Sea Grant College Program	Tagged AIS, aquatic invasive species, Habitattitude	Bookmark the permalink. So succinct and helpful. Thanks!